New Delhi [India], Mar 24 (ANI): Akshay Kumar-starrer 'Kesari', which became the top grosser of the year so far owing to its opening day collections, has crossed another benchmark-- the Rs. 50 crore mark after just three days of its run at the box office. 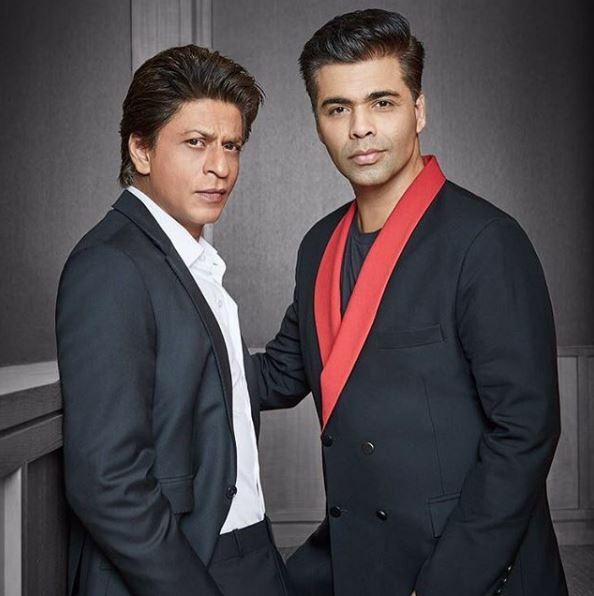 New Delhi [India], Mar 22 (ANI): Bollywood powerhouse Shah Rukh Khan backed his best friend and filmmaker Karan Johar after the latter liked an offensive tweet against SRK. New Delhi [India] Mar 22 (ANI): Bollywood powerhouse Akshay Kumar has done it again. 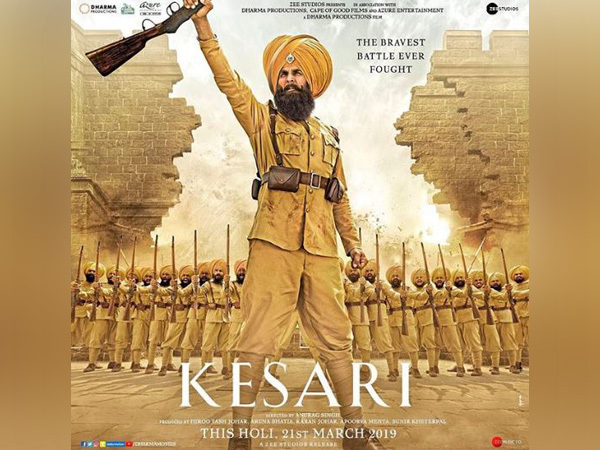 His latest film 'Kesari' earned 21 crores on its opening day making the movie the top grosser of 2019 till now. Washington D.C. [USA], Mar 16 (ANI): Ahead of the release of Akshay Kumar starrer ‘Kesari,’ the actor, appealed to the Indian youth to watch the film since it is based on a topic that has eroded from the history books and needs to be celebrated. New Delhi [INDIA] Mar 13 (ANI): Parineeti Chopra recently posted a throwback picture from the sets of Kesari, in which she can be seen posing with her co-star Akshay Kumar and it is safe to say that the two characters look happily in love with each other. ‘Sanu Kehndi’ from ‘Kesari’ will make you want to groove! New Delhi [India], Feb 27 (ANI): The first song from ‘Kesari’ titled ‘Sanu Kehndi’ is finally out and it features Akshay Kumar showing off some cool dance steps on the catchy beats of the fun Punjabi track. New Delhi [India], Feb 21 (ANI): The trailer of Akshay Kumar-starrer ‘Kesari’ is finally out and it takes the audience on the journey of a heroic story of nation's unsung warriors. 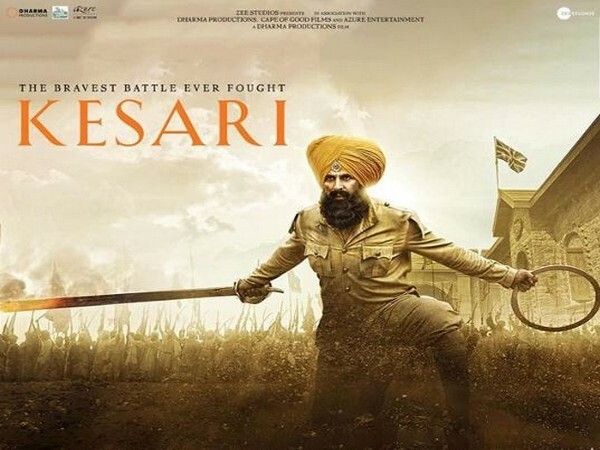 New Delhi [India], Feb 20 (ANI): Bollywood powerhouse Akshay Kumar treated his fans with a new poster of his upcoming film ‘Kesari’ and also revealed that the trailer of the movie will be out tomorrow. New Delhi [India], Feb 12 (ANI): Bollywood powerhouse Akshay Kumar shared the first glimpses from his upcoming film ‘Kesari’. New Delhi [India], Jan 13 (ANI): Akshay Kumar wished his fans on Lohri by sharing a new still from his upcoming film 'Kesari'.